Maybe I'm being daft, but I find the way of adding a new blog post with this platform is not as intuitive nor quick as it should be. Basically, you have to go through your setting to add one. Isn't there a faster way? I like having them easily visible whether it's on my planner, my computer or my mobile. So as I was looking for nice calendars yesterday, it occured to me: why not make my own and also share them with my readers? So this morning I've been working on the first one. Mind you, they are the November month versions. But I needed to test them. And they seem to work fine on my desktop, my Android phone, and I'll later check on an iPhone. I hope you will enjoy them. And please please please let me know if you experience any issues, especially with the mobile version. All tips are welcome! Today, the postman finally brought me the Filofax I had traded with a nice lady in the US. 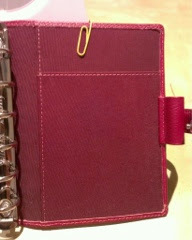 It is a pocket size, cherry red (some say it's raspberry) coloured binder without a name. Just the mystery around it is what made me go for it. So, without any further ado, here's my take on the Mysterious Pocket in Cherry. The grain on the Finsbury's leather is different and more textured, harder to the touch, if you will. Not to mention that the dye of the leather is done in a way that is not uniform, so the wrinkles of the leather will be slightly lighter than the grain. I'm so accustomed to touching leather, that as soon as the bonder was in my hands, I could feel it wasn't real leather. This is hard to explain for me, as not only is it a tactile experience, but also how it looks and how it sounds when I pass my fingers across it. The way the strap wrinkles when stretched out, and the feel of these wrinkles. And of course, the smell. It has many scents I cannot pinpoint, but among those, leather is not one of them. 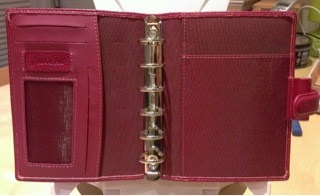 On the left, the layout reminds one of the Finsbury, with the mesh ID slot, the card slots at the top, and the full length pocket. 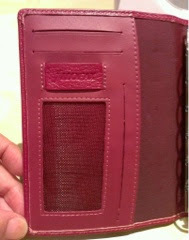 Except this one only has two, rather than the three card slots, like the Finsbury. 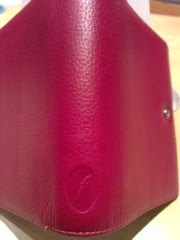 In the place of where the thirds slot should be, there is, stitched, a piece of textured PVC leather with the Filofax logo embossed. The piece that has the slots and the mesh isn't textured, but plain PVC. On the right, there is only a notepad pocket. All this is done in a form of nylon. The pen loop is not elasticated and it is also made of the same PVC leather. 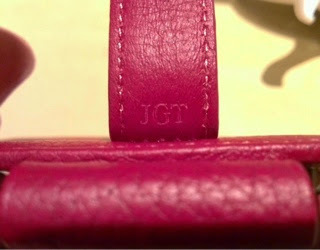 Markings under the strap read "JGT". This binder is indeed a mystery to me, as there is nowhere to find the name of the model. It does have the usual F on the spine and the logo on the ring mechanism. But that is it. 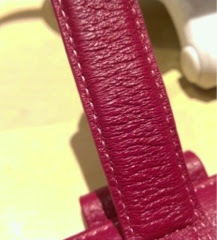 Even the 3 letters on the strap don't give me any clue, except maybe, that there is no letter L to signify 'Leather'. Oh, and just last night I found one exactly the same on Ebay. It also didn't state the model. 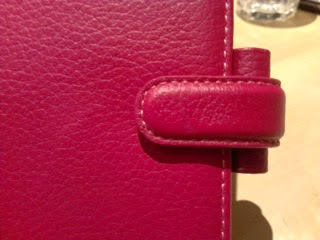 I liked my planner, the one by Mark's Tokyo Edge. I even went through all the hassle of buying it from their Japan online store, which doesn't ship outside Japan.And it was love, but it was short lived.The more I started interacting in the Facebook groups about Filofaxes, the more I started to miss the practicality of having a ring system.So I went back to my pocket Filos. And then I discovered kikki.k.&nbsp;Very girly for my usual self, yet something about them kept luring me. I blame it all on my stupid hormones. So I caved and ordered the Small, equivalent of the Pocket, lavender with gold diamonds planner.I have to say, it arrived in less than a week, all the way from Australia and with a weekend in between! So I thought I would share with you some pictures of my layout, the way it looked a week ago. When working on custom requests, especially for an item that I'm making for the first time, sometimes the first tries will have a few mistakes, so I'll try again. Rarely though, I will have the nearly finished product, only to make a mistake on the last step. This is incredibly frustrating, and of course, I need to start all over again. Such is the case of the following subject, the graph planner insert for Midori TN. I was making a planner insert for a friend who requested it. Everything was done, pages printed and bound. The only thing that was left to do was to cut it to size. So, after I finished trimming the insert, I checkd to see all was ok, only to find out I hadn't done the layout properly. Some of the inner spreads got a bit of text chopped off. I couldn't send this to my friend who had already paid for it, so I had to start all over again! Now, the thing is, this is a perfectly good planner and it would be a sad thing to throw it into the recycling bin, especially after all the work that went into it. As you can see from the pictures, it is not too much that got cut off and the rest of the planner is fine. I know many people like to decorate their planners with washi and stickers, etc., so I'm thinking of selling it for half its price. It is a weekly planner for 2014 with a week on two pages format, with Saturday and Sunday having their own space. It is printed in dark grey on high quality graph paper, each day has plenty of space to record your day. It also has a 2014 calendar, and I will include one for 2015. You won't find another one like this, as I won't be making any more (unless requested as a custom order). I'm asking £10 including shipping within the UK, €15 including shipping within EU (Norway and Switzerland included) and $15 without shipping to the US&Canada (shipping depending on which service is wanted). I'm not putting this one in my store. If you are interested, please send me a message via Facebook (21Kittens page, or Midori Traveler's group). I accept PayPal only. Today I finally picked the Dakota from where I had left it after opening the package. I wasn't sure what to do with it, so I had left it there while I thought about what I should do. Should I return it and ask for a refund? or should I try to restore it and keep it? Being sick with a daily fever and heavy head doesn't allow room for proper thinking. So yes, I decided to keep it and restore it. Since the material isn't real leather, I didn't worry about it drying up, so I used my clarifying toner. That way it would be gently cleaned and smell nice at the same time. After some decent rubbing, I was able to make the black marks less visible, but only slightly. I guess they are now so embedded that it would be impossible to completely remove them without damaging and discolouring the material. I then added a fine layer of liquid leather conditioner and gave it a modest buff, so that it wouldn't look so dull. I didn't apply any conditioner to the strap yet; I wanted to glue it first. Please excuse the crappy pictures, I wasn't able to take better ones. As you can see, most of the black marks are more faint now. After having talked with a few online friends, I was convinced to try and resolve this matter by asking for a refund, as it wasn't fair to have been sold an item that wasn't as described. After contacting the seller, we've agreed that I will return the binder to her, and she will refund me. So, on Saturday I received the A5 Filofax Dakota I had won on eBay. It wasn't a pleasant surprise, as the seller sent it inside a cheap, black rubbish bag, without any protection whatsoever! When I opened the Filo, the two lower rings were biting some of the few inserts. I believe this must have happened during transport. Luckily, though, the mechanism was fine and the rings closed without any gaps. Still, I feel cheated. Although the seller described the item as having barely used, and the inserts as new, that wasn't the case. The few inserts that came with it show that they had been used before. It is clearly noticeable the markings from her writing, she must press the pen really hard! And then the binder. It doesn't look like a rarely used maroon Dakota. It's got dark marks, the strap has become unglued in the middle, and also the binder felt sticky and grubby to the touch. As you may have noticed, I haven't been able to keep my blog updated frequently. I am not going to make any excuses for this. Instead, I've been thinking of posting short posts, that will allow me to be more disciplined. And because this blog is about my passion for stationery (yes, people, it's written with an e, not an a), both acquired and handmade by myself, I will write whatever is currently on in my mind regarding those topics. 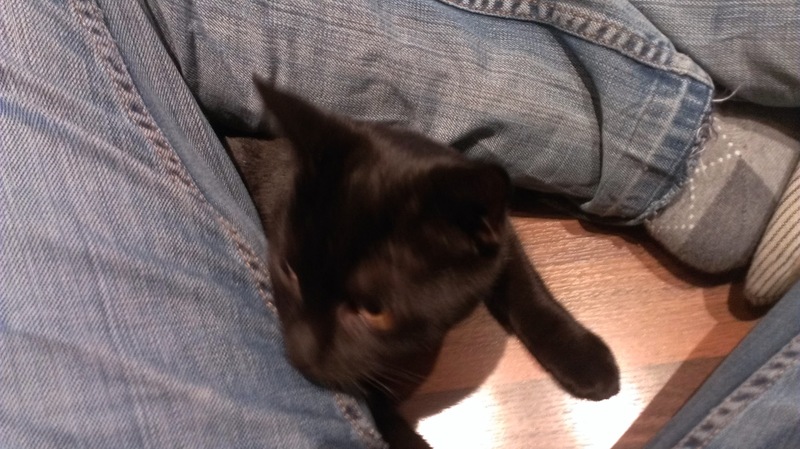 This here is the first one, written on my mobile, to test it out. At the moment there are only two comments, so I'm going to wait a bit more so others can also participate in the small prize draw. I honestly didn't know how to start this post. I guess my creative writing side has gone on vacation. Makes sense as I'm doing more than one thing at a time right now. Anyhow, I am writing it as I promised the MTN Facebook community that I would let them know what that recent voting I had asked them to do was all about. It is about my notebook setup, and how I got confused between using, or trying to, different formats at the same time. - Field Notes to carry everywhere, for notes, sketches, doodling with friends whilst sharing some beers, finances, planning, thinking, designing, lists, to do’s, etc. You get the idea. - My Sidekick, I would change it as soon as it was filled, and depending on the mood I was, it could either be a bound notebook or any of my Midoris. It was going well, and then I just stopped using my Sidekick. I think this happened when I was using my large Midori for the third or fourth time, and stopped carrying it because it was too large, and leaned more towards my Field Notes. Then, I decided to try the Passport instead. But between that and the FN, plus the fact that I wasn't writing much, I just couldn't stay constant. At least my planner was working well! So last week I decided to sit down and really think why my system wasn't working and came up with the following, which I have transcribed from my FN to share with you. 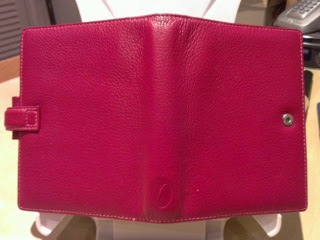 I can continue using FN, and get a leather cover for them; the one I've been coveting from Zenok. I really love them, but the large isn’t very portable, which leaves the Passport size. If I stick with Midori, this could be a great time to use the new Limited Edition. I will have to make some inserts for myself. used since Jan ’10 to write about stationery and handmade requests, but hasn’t really worked out. With dot grid, the paper is more yellow than the previous and I don’t like it as much. Currently designated as Blog Design and Code book. Very few pages used. Bought in Japan, with absolutely gorgeous blank paper. Slightly taller than the Rhodias, about the size of Leuchtturm1917. With dot grid, off white pages. Quality is good, although not as good as Rhodia. Currently being used as watercolouring notebook. Larger than Leuchtturm1917. Has pocket pages in between for mementos. As expected from CF, the paper is awesome, but maybe too white? Never used. Present from a friend who got it as a company gift, so it has the company’s logo on the pages. 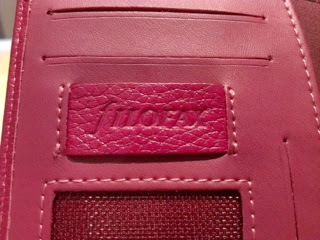 These are lined, off white and seem good quality. Really nice construction, with an elastic band. 96 lined pages, high quality. FN size, but thicker. Lines are too contrasting. 72 pages, lined, off white. Beautiful paper. Started/bought to record notes from recent job training (no longer needed, only a few pages used). Great paper, light lines. Book a bit too thin? Lots of pages, fun format, as two thirds are cream/off white, and the other third, which is placed in the middle of the two, is kraft paper. Bought recently for sketching Proxy’s stories. Hard cover, lined pages. Usual Rhodia high quality paper. Beautiful. Smaller than an A5. Pages are cream. Was a birthday present from DH many years ago. Never used. Dotgrid Rhodia Webbie A6, Midori Spiralbound and MUJI A6 Stitchbound. From that I eliminated the Midori, I think I want to use it later on for something more special. That left me with the Rhodia and the Muji. Since I liked both choices equally, I decided to ask the group to help me decide, by voting blindly for options A or I. But, I won't tell you just yet. Which one do you think won? and why? please comment with your answer. The one with the correct answer will get a prize. In case there's more than one, I will select the winner using a randomizer. For all those who voted, thank you very much for taking part in this even without knowing what it was for! Today is the last day that the sketchbook inserts I made for the Midori Traveler's Notebook will be listed in my shop. I will not be listing them anymore, as there are only two left and i'm not planning on restocking on the cartridge paper I used to make them. So, in order to make them go faster, I am offering free shipping on them. that's right, whether you live in the UK, US, Australia, Europe*, etc. you will just pay the price of the sketchbook. For more info, please check out the link by clicking on the image below. I might not be in North America, but I still want to give readers over there a nice gift for this Labor Day weekend. Don't let this offer get away!! Wow! I can't believe how fast this year is going by! It feels like just a while ago we were still in March freezing our butts off, and all of a sudden September is knocking at our doors! September has got to be one of my favourite months of the year. For starters, simply the words SEPTEMBER or SEPTIEMBRE in Spanish, have a really nice sound. The other three -BER's that follow it just can't compete. They're dull, grey and so cold! Also I've always felt September as a month of renovation and restarts. I suppose that is due to the school year starting in many countries, as well as most people returning to work after the Summer or Winter holidays, depending on which hemisphere you're at. Plus, in Spain and many other countries, the weather is still nice, and if you go to the beach you won't find it as crowded as during previous months. Yet those of us who aren't lucky to be living near a beach nor blessed with Spanish weather, need other things to make the return to school and work less of a drag. Stationery is one of them, and more in tune with September, planners or diaries like they're called here in the UK. We start thinking of getting a new planner, an academic one, just because it's so nice to start one. We then actually buy the planner, only to start yearning a few weeks later for the year to end, so we can start yet another diary, in the hopes that this time, we might reach Planner Nirvana. At least, that is what I know is going to happen to me. But more on that on a different post! For those of you who use ring-bound planners, like Filofax, Franklin Covey, Paperchase, etc., it is easier to go about trying new formats for September, as you don't need to buy a whole new diary. Simply switching pages in your book will suffice. Yet still, if you wanted to try a new format for the current year, the most likely option would be to purchase a whole 2013 pack of planner pages, which even though they might be discounted at this point, it is still a waste of paper and money. What if there was the possibility of buying only the four months remaining, just to see if you do like the format, paper, size, etc.? And what if you could have those inserts straight away, without having to wait on the post man to deliver them to you? Well then, ladies and gents, you will now be able to get them in my shop as a downloadable PDF file, complete with printing instructions, to keep you busy during the weekend. Wanna take a look? Click me!! I will be adding more sizes if you guys need them, so please let me know either by sending me a convo on Etsy, or leaving a comment below. Thanks so much and enjoy the weekend!! For nearly three weeks now, I have been using the Mini Finsbury Filofax I won on eBay as my wallet and back-up planner, and sadly, it is not working out as I had hoped. For starters, I have already invested quite some time recording useful information inside my Mark's 18 month planner, and I'm already duplicating events and appointments into the Mini, so I do not wish to also copy things like postage prices, past events, lists, etc. Because of this I have been carrying both my Mark's and my Mini, thus adding weight and volume to my bag. My previous setup was much more simple and convenient. I wasn't carrying a wallet, instead I was using a cardholder from Bimba & Lola, that doesn't use up space and is also easy to use; I can pull and stash my cards without hassle, I can carry about 6, and also some bills, although not more than 5. And due to its tiny size, I was able to even carry it in my pocket. The Mini allows me to carry more money bills, but I hardly ever need to. It only has three card slots that are too tight and I often find myself struggling to get my cards out. Another thing that irks me is the fact that when I open it, people near me, like at a queue, are able to peek inside. Surely I do not have anything on the first page, but nevertheless I do not like others looking at my personal things. Another detail I noticed now whilst paying for my coffee, is that it is more cumbersome to stash my bills, as I have to open the Mini once again. Not to mention that the tiny zippered pocket is a hassle to use for coins! Unless you have a flat surface to lay the Mini on, it's nearly impossible to open it enough to get them. Because I really like the Mini purely for aesthetic reasons, I want to keep on using it, but I'm not sure if its looks are going to be enough for me to be more patient and get used to it. For the time being, it still comes with me in my bag. Only time will tell if it's worth the hassle or not. It's mid year and as many other planner or diary obsessed dedicated people, I have been thinking about the next planner that will ideally make life perfect, or something close. I'm currently back to my Mark's Tokyo Edge planner, in a bound, week in columns format, pocket size. And I'm quite comfortable and happy with it. So this morning I was browsing through sites that offer this brand as well as Leuchtturm1917. I have a notebook from them and I really like it! But it turns out that the column format I like isn't available in other colours besides black, and those that are, aren't 18 month planners. Which isn't a problem for me. I can very well start January 2014. All was good until I saw what was in the mail today. A friend got me a surprise present for my birthday. An 18 month, hard cover Star Wars Moleskine, pocket size. Because she remembered that I had been wanting one last year, albeit not necessarily the Star Wars edition! So now I don't know what to do! I start work tomorrow and most of my shifts will be on the weekend. The fact that there are columns make it visually easier to see the hours I worked and even add related notes, as well as other appointments. Plus, it's also got a pen loop. Yet I really love the week + notes spread from the Moleskine. I can even be creative and do the occasional doodle or add stickers, mementos, etc. Plus, I don't mind that the cover is black for I have the Star Wars stickers that came with it to customise it. But I would need to buy a pen loop Leuchtturm1917, which could be any colour I want. Should I stick with my Mark's until December, with the days in columns and doesn't have the weekend sharing the space, or should I start with the Moleskine now? The answer seems pretty clear. But I have been using the Mark's since September last year and I miss that awesome feeling of starting a brand new planner, especially when it's the Moleskine I like! Have any of you also been in a similar situation? What did you do in the end? Ah, this is going to be a nice and lazy Friday. I was up last night until 3:30am and I'm still very sleepy (12:38). The reason I was up so late is because I was trying to catch up with some of my favourite blogs. Still not an excuse, but please let me explain with more detail. Before Google Reader decided to say Adieu, I used Feedly on my iPad and gReader on my phone. They got along pretty nicely and were neatly synchronised. But only a day after Google Reader's departure, Feedly was so overwhelmed that it was "over capacity", and gReader decided it was leaving, too. Only one sentence in his farewell note: "Please install Feedly on your phone." After the guys at Feedly told me that indeed they were having issues and the service would be down temporarily, I decided I would wait patiently, and try (lol) to keep up with the blogs the old fashioned way; using my browser. It didn't really work. So when this week (was it this or last week??) they finally announced on twitter that Feedly was up and running again, I decided to check it out on my iPad, only to be received by a blank slate: all my feeds were gone! Massive Fail, Feedly!! See, yesterday the new member of my small Filofax family arrived and during the evening I wanted to find out how others were using theirs, how much the vibrant colour IRL differed from the internet images, when it was discontinued, etc. This had me sailing from Philofaxy, to Lady Filo, and a couple other more, until reaching my favourite one, Zeitgeist of Zoe. Those of you who follow Zoe's blog, might be familiar with her skilled writing. She has a way with words that keep you browsing her blog, clicking on other posts, unable to unglue yourself from your screen. At least, that's how it is for me, anyway. Yet when the 3:08 on the top of my screen started to haunt me, I decided to quickly close the iPad and plug it to its charger. I should have grabbed my bedsheet over my head, and closed my leaded eyelids and succumb to Morpheus. I should have, but I didn't. Instead I took out my super cute Mini Urban and played a bit with it, adding the new 2013 MOTP calendar I received this week, getting rid of old pages and trying to mentally decide which inserts it should have, etc. What I am trying to say, your Honour, is that it wasn't my fault I went to bed so late. All of this could have been avoided if the newcomer didn't have had to undergo quarantine for being a smelly boy. It was all the Mini Finsbury Aqua's fault. You can visit my store here, or by clicking on the widget on the left. Simply use the code B1RTHD4Y at checkout to instantly get your 10% off! Valid until the 1st of August '13. Yep, you read it right. I won't be talking about stationery today, but of the beautiful new earrings I got last month! I've been so excited ever since I ordered and received them, that I've been meaning to tell you about them. But true to my feline nature, I got distracted easily and forgot about it. I honestly can't remember how I stumbled upon them. I might have been performing a search for 'earrings' or 'green', or I probably found the shop through one of my friends on Etsy. What I do remember is falling instantly in love with them as soon as I saw them. They are gorgeous, aren't they??? The creator of these little lovelies is called Iryna and she's from Ukraine. Her shop, 'Eten-Iren', is full of unique and beautiful hand made jewellery, mirror cases, even mobile cases and charms. And if you pop into her Facebook page, you'll be able to see pictures of her work, as well as other items not listed on Etsy. I'm actually thinking of ordering a custom made bracelet or ring to match my earrings. I'm only waiting to get some money in. So, do check out her Etsy store here and her Facebook page here. Oh, did I mention that she sent me another pair of earrings with my order as a gift?? *Disclaimer: I was not asked by Eten Iren to do this post, I'm doing it because I think a talented artist like her needs to be known by others.